When it comes to baby products, the choices are endless. And honestly, a lot of baby products are generally better and cheaper than their adult counterparts. This is especially applicable for skincare and washing products as they tend to contain less unfavorable ingredients, usually better suiting those with sensitive skin. This is exactly why we decided to help everyone out by assembling a list of baby products adults should definitely give a try and others that shouldn't be used under any conditions. We looked at a variety of different baby products, from shampoo to food, certain meds, and while some things work great for the parents as well, others absolutely do not. But don't worry, just keep scrolling for a guide on which baby products adults should give try and why along with the ones they should definitely stray away from and only let their actual baby use. Trust us, parents might be surprised by how much they can actually take from their baby's cabinet! 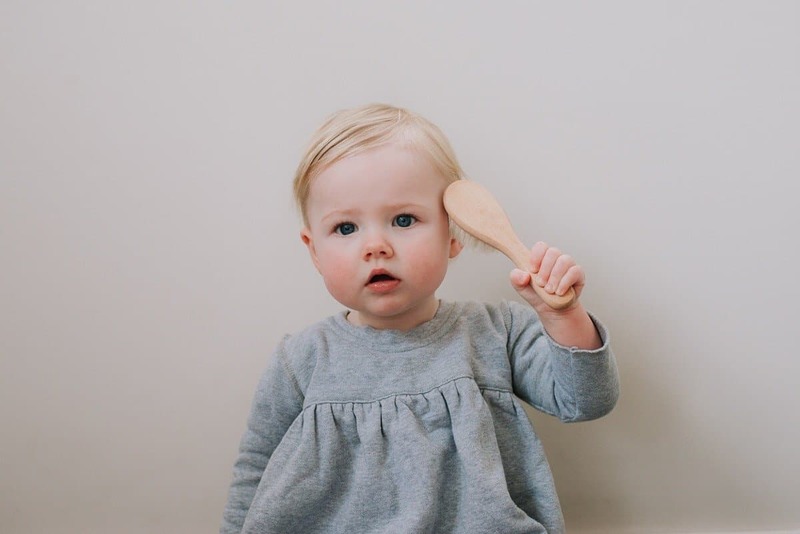 Here are 15 baby products that work well for grown-ups (some are even life hacks), and 10 products parents really shouldn't use for themselves (some not even for their babies). Nursing butter is one of the best lip balms any grown-up can get. Seriously, stop buying actual lip balms and just switch to nursing butter. It's also great for dry elbows and knees, effectively restoring those back into shape in no time. 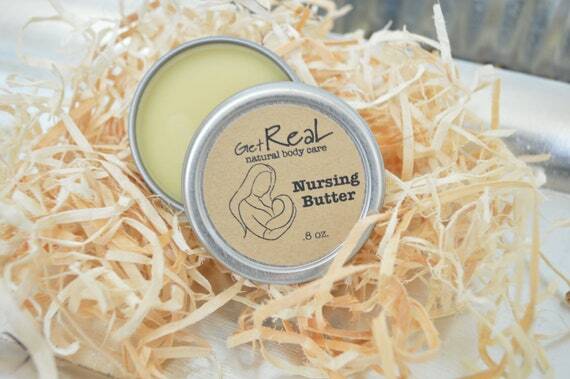 You can use nursing butter on any dry patches and it also works wonder on nail cuticles. Honestly, it's another one of those versatile products each household should have in their bathrooms as every family member is bound to end up using it! 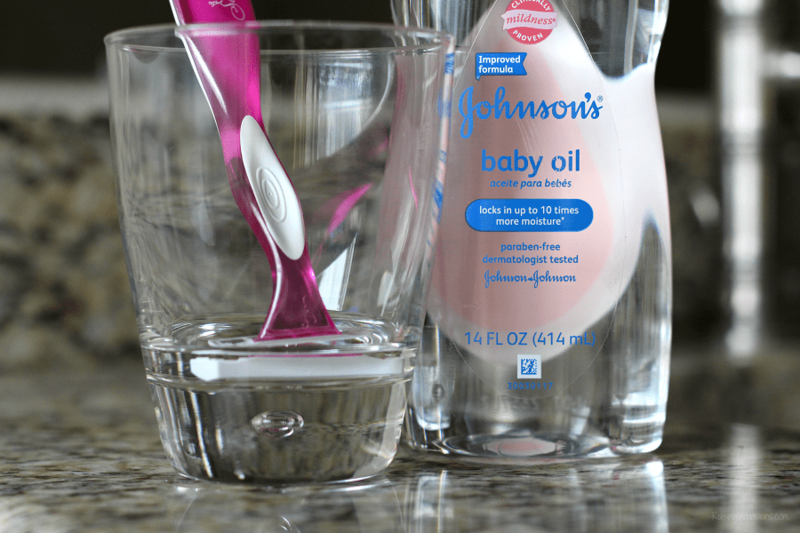 Baby oil is not only good as a general body moisturizer, but it is also amazing to use when shaving arms or legs (or any other body parts). Seriously, not only does the razor glide super smoothly because of it (even if it's a cheap razor), but the skin is left perfectly conditioned and silky afterward. After trying it once, you are definitely going to say goodbye to your regular old shaving cream because baby oil is way superior. Pedialyte is one of those electrolyte-packed children's beverages that work amazingly for curing those annoying "day-after" symptoms. Because Pedialyte is packed with electrolytes, it helps to hydrate the body by retaining water. After a night of having a little too much fun, drink up a Pedialyte since it works well against all uncomfortable symptoms from pesky headaches to that nauseous feeling. Trust us, it will become your go-to hack, especially if you're one of those people who tend to have rather bad and moody aftereffects. Honestly, everyone should switch to baby laundry detergent. It is so much better, cleans perfectly and has no chemicals that can cause skin irritation. Washing underwear, towels and bed sheets for the whole family is unavoidable, so why not just completely switch to it and use it for every type of laundry? There's a reason it exists, as regular laundry detergent can cause skin irritations on babies, and often grown-ups don't even realize it causes theirs too. Parents know that baby spray hair detanglers are very effective, and nobody wants their toddler to have tangly hair and end up in a long combing session with lots of screaming and tears. So next time you decide to get a hair conditioner for yourself, maybe consider trying out your little one's hair detangler instead. You might be totally surprised at how well it actually works for adult hair. Your hair will look shiny, healthy and it will definitely be tangle-free. Baby shampoo is a great mild cleanser and besides hair, can also be used for plenty of other things. Mom can use it to clean her makeup brushes as it is mild and nourishing enough to not fray the bristles. We all know how expensive makeup brush cleansers can get! In a pinch, baby shampoo can also be used to wash the family pet as it generally won't cause any allergic reactions. Baby face creams tend to have good ingredients tailored for sensitive baby skin, but that doesn't mean grown-ups can't use them as well. In fact, anyone with sensitive or drier skin can definitely try switching to a baby face cream, as it locks in moisture better and shouldn't cause breakouts. The ultimate pro for using baby face cream is that it usually tends to be way cheaper than face creams for adults, which get quite pricey fast. Gripe water is great for those who tend to easily get an upset stomach, but don't want to immediately opt for the meds. Grown-up cures tend to sometimes be too severe, and choosing something more natural and kid-friendly might be better for your stomach. Besides, gripe water is usually an herbal supplement with natural ingredients such as ginger and lemon. Sometimes using child supplements and medicine can be milder on the body and result in a faster recovery. Why stop at face cream? The same concept goes for baby body lotion. Anyone who with dry skin or back acne should give baby lotion a try. 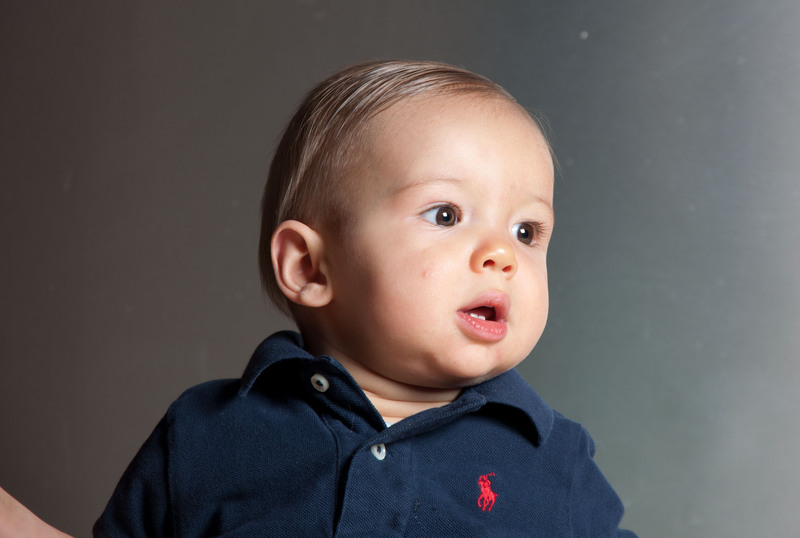 One good thing about baby lotion is that it should be fragrance-free, thus really suiting sensitive skin. We sure love our scented body lotions, but sometimes our skin just needs a good dose of pure moisture with no other unnecessary ingredients. Besides, baby lotion kind of smells like babies and who doesn't love that smell? Baby powder is one of those super versatile products that people use for so many things. It can be used as a very effective dry shampoo, especially when you think about how much cheaper it is. It can also be brought to sandy beaches to get pesky sand off from your feet. Speaking of feet, you can also put some on your flip-flops to keep your feet from sliding around inside. As a whole, baby powder should be considered a household essential. 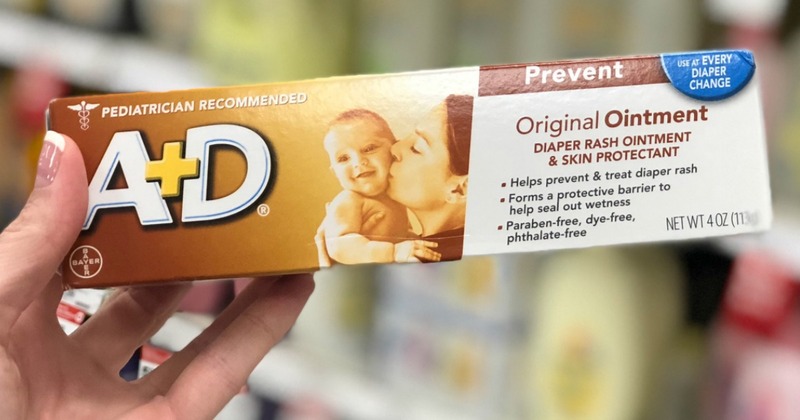 Having any kind of diaper rash ointment is another baby product staple for the household. It is good for any kind of skin rash, skin irritation, and even zits. Yup, it's usually full of zinc oxide and zinc is known to dry out and calm down breakouts. Any skin inflammation can also be healed with a diaper rash ointment. The fact that it is gentle enough for babies should be reason enough to always have it in the house. 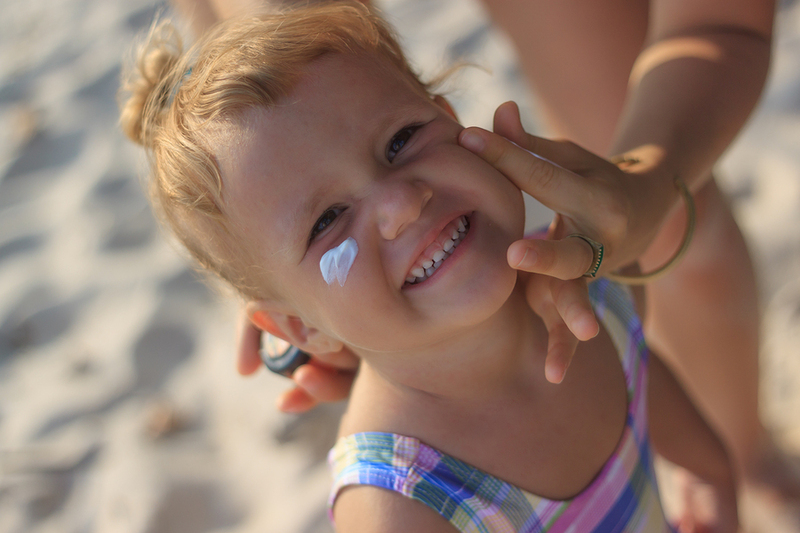 Baby sunscreen is another thing adults should switch too. By now, everyone knows how unfavorable the sun can be for the skin, so the more protection we can get, the better. 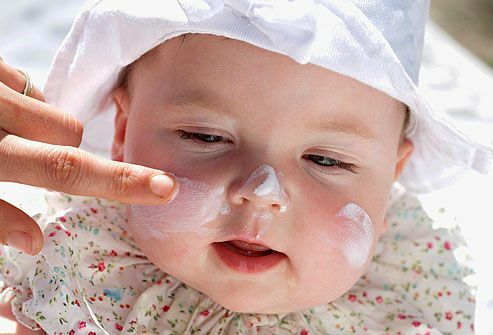 As baby sunscreen generally has a very high SPF, it will flawlessly protect grown-up skin as well. This is especially useful for parents with fair skin who are prone to getting sunburnt quickly. Besides offering great protection, baby sunscreen is also good for those who have sensitive skin and are prone to breakouts. Baby cereal snacks are a good and pretty healthy food for adults. Packing a bit of those as a pick-me-up on the go, or munching on a few while watching a movie is always better than the common, unhealthy snacks. There are plenty of options out there and tons of different flavors. Just make sure to remember that even though they're not bad for you, you should still make sure to have them in moderation. After all, nothing is good when eaten in excess. Baby bubble baths are also a product that is just as awesome for grown-ups. They have a nice natural scent to them, they bubble up well and they are, again, great for those amongst us with more sensitive skin. Besides, who doesn't love to unwind with a nice, warm, relaxing bubble bath, and why shouldn't you be able to use your child's product if it works well? Bubbles are bubbles, who cares if these specific ones were meant for kids or adults! Baby soap is a great versatile product to have as it can literally be used for washing almost anything! From using it as a body and face soap to washing out clothing stains with it, baby soap is mild enough to cause no allergies or breakouts, but still be good enough to properly clean. Just as baby hair shampoo, baby soap is also an excellent makeup brush cleaner, and if you buy one just for that purpose, it will last forever. Baby wipes may be good for many things, but using them as wet toilet wipes generally isn't recommended. This is simply because regular wet toilet wipes are usually made to be disposed of in the toilet, while most baby wipes are too thick to be. Of course, there are some baby wipes that are specifically made to be able to be thrown into the toilet and those are fine to use. However, good ol' regular ones should not end up clogging up our sewer systems. Okay, jarred baby food is fine go-to when one really doesn't have any other options. If it's fine for a baby to eat why wouldn't it be okay for a grown-up to do so as well? But eating it on a regular basis is not good, mainly because baby food lacks adequate fiber, protein and other macros that a healthy grown-up needs. Not to mention, most baby food has almost no flavor, so why would you even? There are a few products in the baby industry that are generally unnecessary and pretty much reflect what our society has come to in terms of vanity. One of those products is baby hair gel, which is completely unnecessary. Let a child's hair be free -- why would you put product in it just so that it looks sleek? Even though these gels may be good and get the job done, parents should definitely not support that industry by using them. This one definitely seems like a given, but still, there are some pretty strange people out there, so let's just be safe and include it on the list of things grown-ups shouldn't use. Baby formula is meant for babies and it in no way fills out the nutritional needs for a grown-up. Besides, it doesn't even taste good. Let's just all agree to leave some things only to babies, and let's put baby formula at the top of that list. Baby hair brushes are super soft because they are meant for thin baby hair -- you know, the kind young kids have. As soon as the kid starts growing and having thicker hair, it's gonna need a better brush. This is precisely why it also isn't suitable for a grown up's hair, as it will have zero effect for brushing knots out and actually massaging the scalp, so there's really no point in it. When it comes to brushes, stick to those meant for grown-ups. Okay, so there are these specific baby gas relievers that look like little tubes and are used to help your baby get the gas out. While these may be useful to help a little kid who experiences tummy aches frequently, they shouldn't be used by grown-ups. Honestly, just get your food right and if you still have problems with stomach aches and gassing, go see a doctor. Baby gas relievers should be in no grown-ups medicine cabinet because that's just weird. Remember how we already mentioned that the baby gel industry shouldn't exist? Well, the same applies to the baby perfume industry. Who on earth thinks that babies stink and need perfume? That's just so ridiculous! 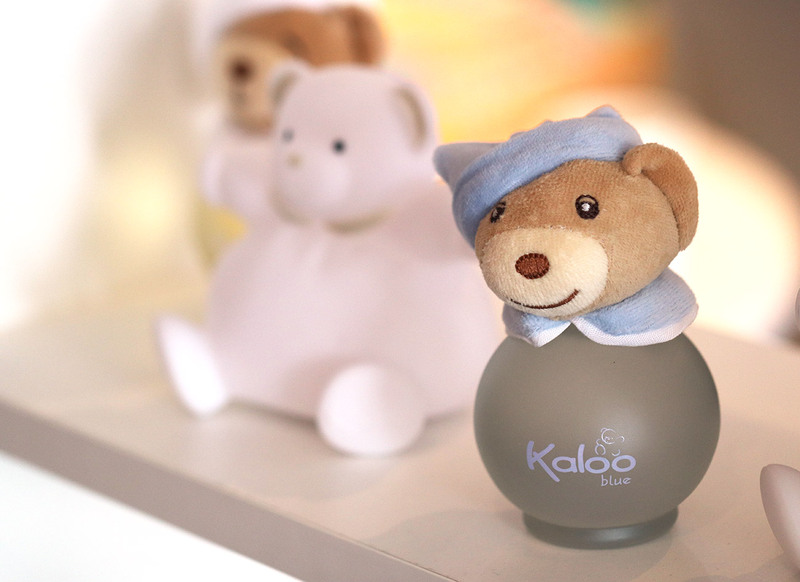 Babies have a beautiful natural smell and they don't need any additional sprays, no matter how natural they may be. This is exactly the reason why parents shouldn't be supporting that industry by buying some perfumes for themselves, no matter how nice they may smell. Okay, let's be real here, the snotsucker isn't even the best invention made up for babies. There are little snot bulbs that can be used instead - without the whole sucking part. But it definitely isn't a good invention to use on grownups, even though you technically could. Okay, so without startling you by giving you a weird mental image of this, let's just all agree that this one is a definite grown-up no-go and let's move on with our list here. Baby toothbrushes are obviously designated for young toddlers and their teeth. Unless your dentist, for some odd reason, recommended it for you, you shouldn't get one for yourself. It is too soft to properly clean an adult's teeth, and besides, it's pretty small, which is not ideal as that means brushing takes longer than it would with a regular toothbrush. It's pretty much the same as with baby hair brushes -- they work for kids but are not meant for adults. Lastly, let's mention that just because baby skincare products are natural and made for sensitive baby skin, it doesn't necessarily mean that they will work for every adult. Some people might have more oily skin and need a different kind of skincare, while others may need a heavier moisturizer. Some might just get a reaction, even to the most sensitive baby skin care products. While in general, they work for a lot of people, you shouldn't use them if you notice they aren't actually working the way you may have hoped. Sources: buzznick.com, cookinglight.com, gq.com, health.com, healthyway.com, momjunction.com, theatlantic.com, whattoexpect.com.